i stopped in albuquerque to visit a record shop. everyone there was happy to drop albuquerque knowledge on me since i knew nothing of the city. did you know the rogue mountains that spoon the city had indians hiding in them to rob travelers until seventy years ago? 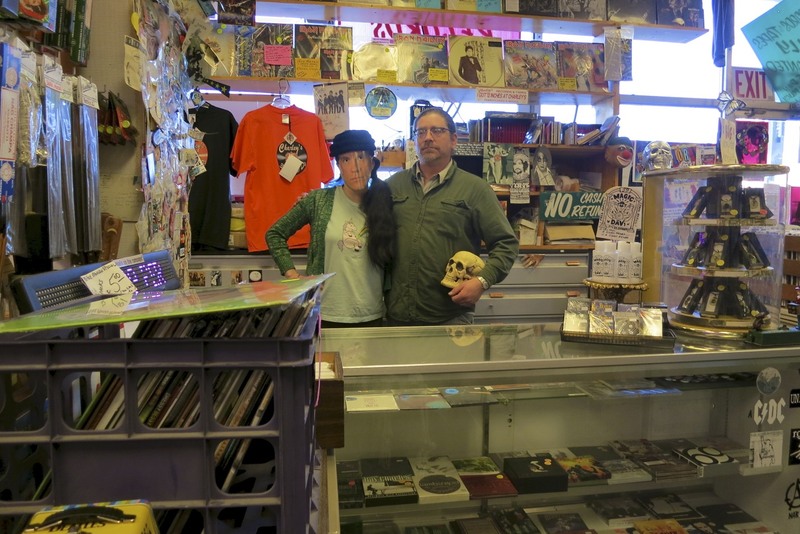 or that everyone at the record store’s seen ufos and it’s no big deal. This entry was posted in southwest, the_journey and tagged new mexico, record, ufos by JiL. Bookmark the permalink.